Ubuntu device convergence is now starting to happen as we move closer to bringing the first smartphones to market carrying a full Ubuntu desktop interface. Our journey towards OS convergence first begins with Unity 8, Ubuntu’s User Interface and display framework, envisioned to run on all Ubuntu devices with the same underlying codebase, supporting a common infrastructure for application and service development. 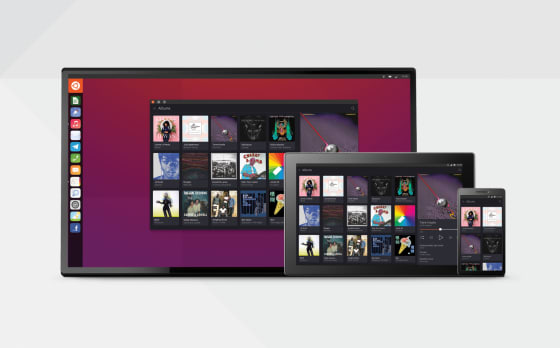 The goal for Unity 8 is to run as the primary display on any type of Ubuntu smart product. This means applications have something no other OS can provide: a single, visual framework and set of tools for applications to run on any type of Ubuntu smart device. Applications developed for mobile will easily scale and run on a desktop display, with support for point and click input. Our SDK will provide tools for developers of mobile applications to build desktop contexts for these apps. Similarly, developers of desktop applications can use our SDK to extend and enhance their application for mobile use. Convergence brings a whole new set of contexts for developers and our SDK will provide the fundamental tools developers need to make their apps easy to adapt and run on any display. When you see your application on the phone and then use that application on the desktop, it is the exact same code running each application. Ubuntu does not need to know if the app is coded for a mobile or desktop display rather it is the application that surfaces the appropriate interface depending on which display is required. Third party developers will be able to easily create new Ubuntu applications which only need to be developed once but which can be available and used across all Ubuntu interfaces. We have been saying for some time that the evolution of the smartphone into a convergent form factor, delivering a PC experience, is a real and relevant industry need. However a truly converged smartphone or tablet designed with the combination of mobility and desktop productivity is only really achieved using an OS built on a single, fully contained codebase.